It was almost 19 years ago that I realised I had post natal depression. I was obsessed with loosing weight (a bit of a song track to my life) and was visiting a Doctor who promised magic with a weekly weigh-in, some pills and a shot. I am not sure that I lost any weight but I did take the first step towards getting out from under the dark cloud of postnatal depression. I will always be grateful to the doctor who realised that uncontrollable crying due to a static scale was not normal. She sat me down and talked to me – for far longer that the normal 10 minute session. I walked out with a prescription for Prozac and a terrible feeling of guilt that I wasn’t a good mother. That I couldn’t cope being a mother to my beautiful baby boy. 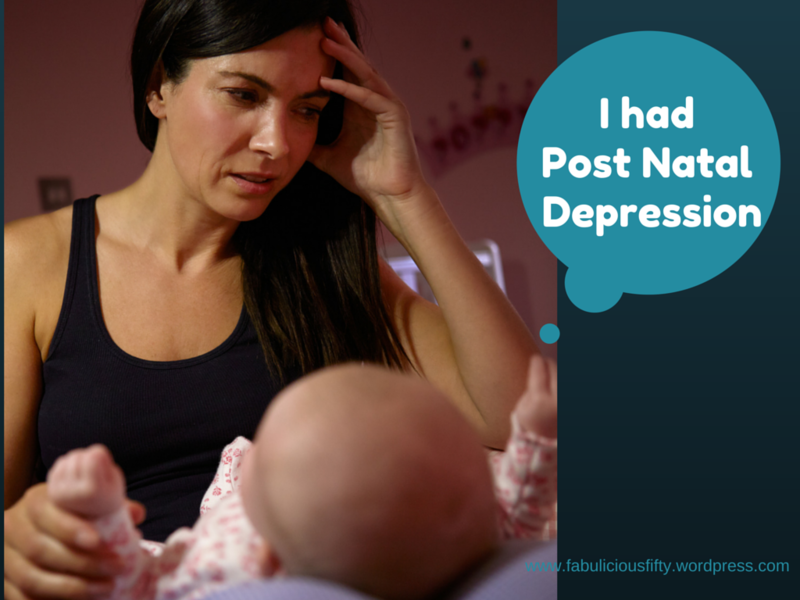 Over the years I have tried to reason out why I got postnatal depression. Was it because I went back to work full time too early. Was it because my baby had colic, and was honestly quite an awful sleeper. I know now that there is no reason why anyone gets post natal depression. It is simply something that happens. I am writing this post to share my experience, and to let anyone out there who is suffering from post natal depression know that the key is recognising it and getting help. Help comes in many forms. For me it was through medicine, and meditation and the support of friends. Many years later I did quite a bit of counselling, and wished that had been an option 19 years ago. I am not an expert at postnatal depression, merely a woman who has not forgotten the desolate loneliness and sense of helplessness. The main thing for me was to admit I had it. And then accept the help that was offered. For me, and I think many other people, when I am in a bad place I tend to look inwards. So many times people have said to me – why didn’t you call? I just didn’t. I should have though. As I said medication did help me, but what helped even more was the support of my friends. I remember weekends when I had help with David so I could go out for a little me time. And then the many Sunday’s that I spent with my friend who not only cheered me up, but helped me to realise that what I was ok and normal. May fabulous days where spent simply being together. Depression is a funny thing. It creeps up on you sometimes and by the time you realise you need help it has been a constant companion for a while. Once I started to come out of the fog, I gave myself a few laughs. I opened my bedside locker one day and honestly a whole pile of chocolate papers jumped out. The scary part was that I didn’t even remember eating them. Imagine crunching on calorific chocolate to make yourself feel better and then never even remembering the moment. It takes me a good while to eat a bar of chocolate these days – normally square by square. Now I find folded down bars of chocolate I have forgotten in the freezer, the fridge and the cupboard. Each person’s experience is going to be different. I coped during the day at work and simply melted into a puddle of helplessness in the evenings and on weekends. I cried when my baby cried. I slept a lot. And of course I ate – which contributed to a cycle of feeling bad about myself. It does get better. I know this now. But honestly believe that most people with post natal depression could do with some sort of intervention be it medical or counselling. Happy to correspond with anyone privately, or respond to comments. It is funny that there are things that you never forget. I will never forget the joy of being a mother, or the time I suffered from postnatal depression. Very proud of a talented young man now.